Archaeologists have discovered a new pyramid under the sands of Saqqara. 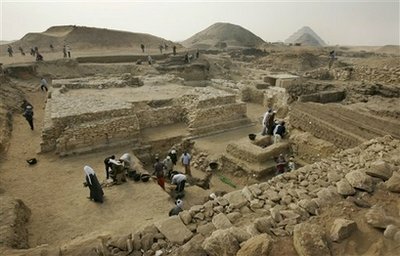 The discovery is part of the sprawling necropolis and burial site of the rulers of ancient Memphis, the capital of Egypt‘s Old Kingdom, about 12 miles south of Giza. The find is important because it adds to the understanding of the 6th Dynasty, which reigned from 2,322 B.C. to 2,151 B.C. It was the last dynasty of the Old Kingdom, which spanned the third millennium B.C. and whose achievements are considered the first peak of pharaonic civilization. Saqqara is most famous for the Step Pyramid of King Djoser, built in the 27th century B.C. Excavations have been going on here for about 150 years, uncovering a vast Old Kingdom necropolis of pyramids, tombs and funerary complexes, as well as tombs dating from the New Kingdom about 1,000 years later. So what do I think about this recent discovery? · After discovery comes the hard work (often taking years) of analysis and interpretation, too few young people are considering fields of study that could aid the ever-improving science of archeology. · Our current picture of the life and times of the peoples, cultures, nations and empires (about which we read in the Scriptures) is informed by such a very small percentage of the artifacts that are no doubt buried just beneath the sands. 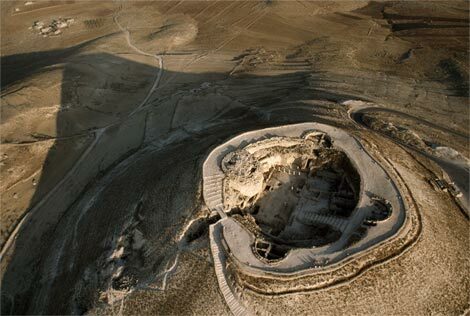 We need to continue to support the exploration and discovery of ancient sites as part of our duty to be truth-seekers. We ought to support biblical archaeologist, their excavation projects and on-going research, analysis and publication of findings by both our money and muscle.